One of the most important moves a new company can make is to secure UPC code numbers for their products. UPC numbers allow companies to distribute and sell their products in a variety of Point of Sale scenarios, which is why they are a necessary component in any sales strategy. At Bar Codes Talk, it’s our goal to assist our customers in securing high quality bar codes for the lowest prices, taking the guesswork out of the UPC code number process- satisfaction guaranteed. Although there are several different types of bar codes, the UPC symbol appears on nearly every retail product in the United States, making it the most versatile and recognizable type of product code in this part of the world. It consists of a bar code with a GTIN-12 number beneath. The bar code, or UPC symbol is the series of black vertical lines seen on any Point of Sale product. This symbol is unique to each product and represents the twelve numbers that identify an individual product for sale. The bar code is the part of the UPC code that is scanned at the Point of Sale. What is a GTIN-12? How Many Numbers are in a UPC Code? GTIN stands for Global Trade Identification Number, the coding structure that identifies a product. The GTIN-12 of a product is the unique 12 digit code shown beneath the bar code. How Many UPC Codes do I Need for my Products? 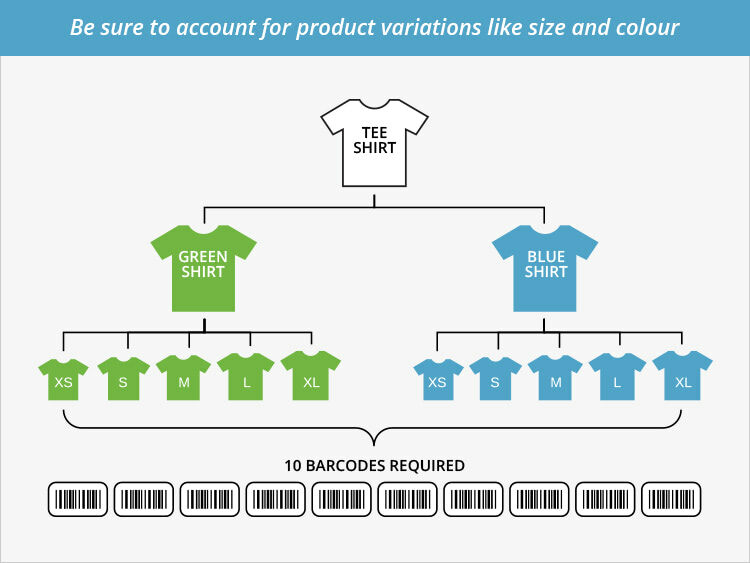 Each individual product that you are planning on selling will need its own unique UPC Code. Though the Company Prefix assigned by the GS1 will remain the same, you will need to assign each product a unique Product Number and Check Digit. What’s the Difference Between UPC and EAN? UPC’s are the most commonly used bar codes in the United States. EAN’s (European Article Number) are used internationally. Nowadays, most places will accept both product UPC codes and EAN codes, although if you are planning on selling your products outside of the United States, an EAN code might be best for you. 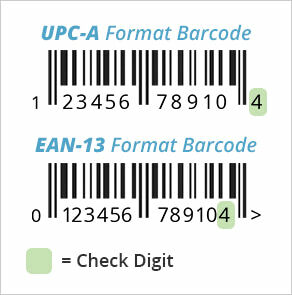 EAN format bar codes contain 13 digits, leading with a “0” in front of the standard GTIN-12 digit UPC code. Both bar codes, however, are identical. Due to the stringent standards of the GS1, individual companies cannot create their own UPC codes. In order to have a barcode that will scan at a Point of Sale, you must have a Company Prefix number assigned to you by GS1. For companies wondering how to create UPC codes- the answer is that you cannot do so on your own. Who Should I Purchase UPC Codes From? 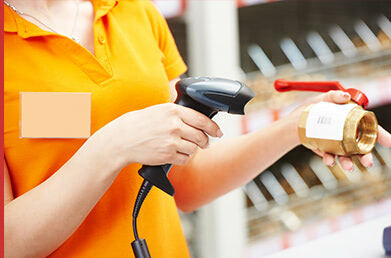 All retail UPC codes must originate from GS1, and you may choose to purchase your UPC code numbers directly from them. However, GS1 requires that you purchase a minimum of 100 UPC symbols, at a minimum cost of $750. This does not include the annual renewal fee for your UPC symbol, which typically begins at $150! At Bar Codes Talk, we purchase our UPC numbers in bulk so that our customers don’t have to. Purchase as many or as few UPC numbers as you need! Additionally, since we joined GS1 in 1994, several years before they began charging renewal fees, our customers are not responsible for any additional fees once they have purchased their UPC symbols from us. Ready to Buy UPC Codes? We can handle almost any order. If you need any help at all or have a custom request please call us at 1.877.263.1343 or use our contact form.